Keep was built to save time and effort when organizing your ideas. So now if you come up with some notes on the go, you can quickly and effortlessly turn them into slides with a drag-and-drop action. Being productive was never so easy. Sometimes you need to put together slightly different versions of a presentation for each client, and frequently they're based on the same rubric, with identical slides across the different variations. Manually keeping track of the content while also keeping each updated can become a bit of a chore. Now you can easily link slides between presentations so that changes can propagate to all your various versions automatically. 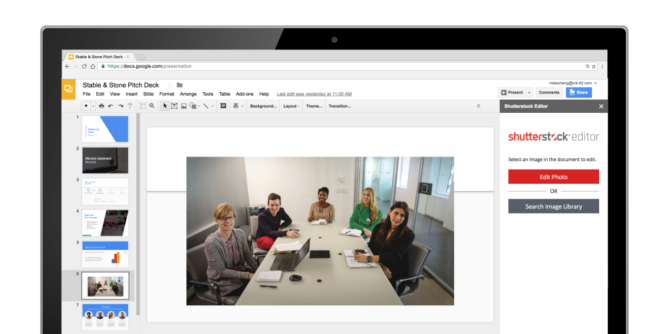 That makes personalizing your customer-facing presentations a whole lot easier. The new add-ons system is one of the most potentially useful changes, just because of its flexibility. Add-ons allow other services to integrate into Slides. So, for instance, content from other services, like Adobe's stock images and The Noun Project's icons, can be quickly tossed into a presentation. 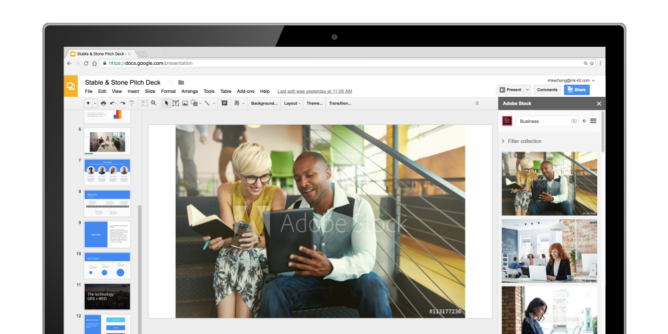 You won't have to worry about the tedious process of finding an image separately, downloading it, and then uploading it into Slides. It's all easily done from Slides itself. And that's just one example, the add-ons work with a ton of different services already, including Shutterstock, Balsamiq, and even the education-oriented Pear Deck. There's also a handful of smaller features, like diagrams, new methods of automation for Slides in Apps Scripts, a grid view for slide thumbnails, and the ability to skip slides on the fly during presentations. Not the biggest changes, but they easily save you time. These new features are rolling out to Gsuite customers now. Although we aren't seeing any of these changes live for us just yet, they should be available to everyone soon.